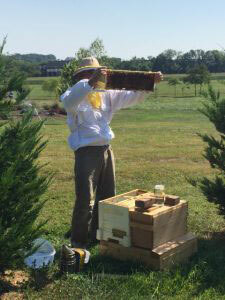 When I started beekeeping I started with a top-bar hive. While far less common than the traditional Langstroth box style hive, I figured it would be less expensive to build (around $50 as compared to $200) and if I didn’t like beekeeping, I wouldn’t have invested a lot, so no big deal. I picked up Wyatt Mangum’s book and got started. It turns out I love it and have been at it for years. In a top-bar hive, bees attach their comb directly to the bars which form the roof of the hive. Because of this, the bees can pass around the sides of the comb but not over the top. Beekeepers that use Langstroth style hives will often say that top-bar hives are unsuitable for the overwintering of bees because when the cluster reaches the top of the comb they will run out of food stores because they can’t pass over the top and move to the next comb. Of course this is how the cluster moves from comb to comb in a Langstroth hive so if that is your only experience keeping bees I guess it’s a reasonable assumption. 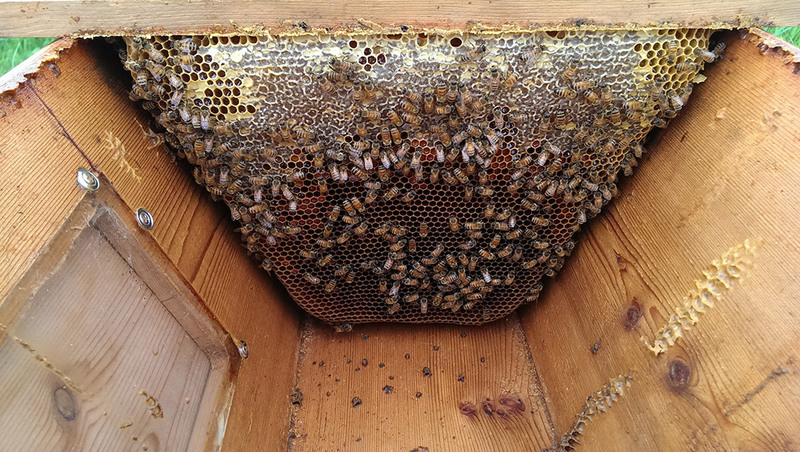 In truth, while in a top-bar hive the bees normally can’t pass over the top of the comb, a strong colony will just pass around one side or the other – so normally not being able to pass over the top hasn’t been a big deal in my top-bar beekeeping experience. I guess we have to start somewhere so let’s go with the the obligatory Hello world! blog post. I have had several inventions rolling around in my head for some time now, most of which apply to beekeeping. Nothing earth-shattering, just simple inventions that should round-off some rough edges. The first is a starter strip for top-bar beehives that will allow bees to pass over the top of the comb – it will help them better overwinter. I have been refining and testing it for three years and it works wonderfully. Manacet is located in Leesburg, Virginia. If you would like to get in touch, you can use the contact form or you can email me at bob@manacet.com or call 703.867.4337.